سواءً كنت مسافراً بغرض السياحة أو العمل, Rosefield Bed and Breakfast هو خيار عظيم للإقامة خلال زيارتك كيترينج. يمكن من هنا للضيوف الاستمتاع بسهولة الوصول إلى كل ما تقدمه هذه المدينة النابضة بالحياة. إن سهولة الوصول من الفندق إلى المعالم السياحية الشهيرة الكثيرة في المدينة كمثل ‪Nutpatch Nougat‬, ‪Raptor and Wildlife Refuge of Tasmania‬ هو استثنائي بحد ذاته. إن Rosefield Bed and Breakfast حريص على توفير الراحة للنزلاء، فلا يوفر الموظفون جهداً في تقديم أفضل الخدمات وضمان حسن الاستقبال. يمكن لضيوف الفندق الاستمتاع بالميزات التالية على أرض الفندق: تسجيل وصول/خروج سريع, تخزين الأمتعة, واي فاي في المناطق العامة, صف السيارات, رعاية أطفال . لقد جهزت هذه الإقامة الفندقية بعناية فائقة لتوفر مستوى عالي من الراحة. في بعض الغرف يجد النزيل غرف لغير المدخنين, مكيف هواء, تدفئة, مكتب, ساعة منبه. يقدم الفندق مجموعة رائعة من الخدمات كمثل حديقة، لجعل إقامتك تجربة لا تنسى. يحظى فندق Rosefield Bed and Breakfast بموقع ممتاز وخدمات يصعب منافستها. 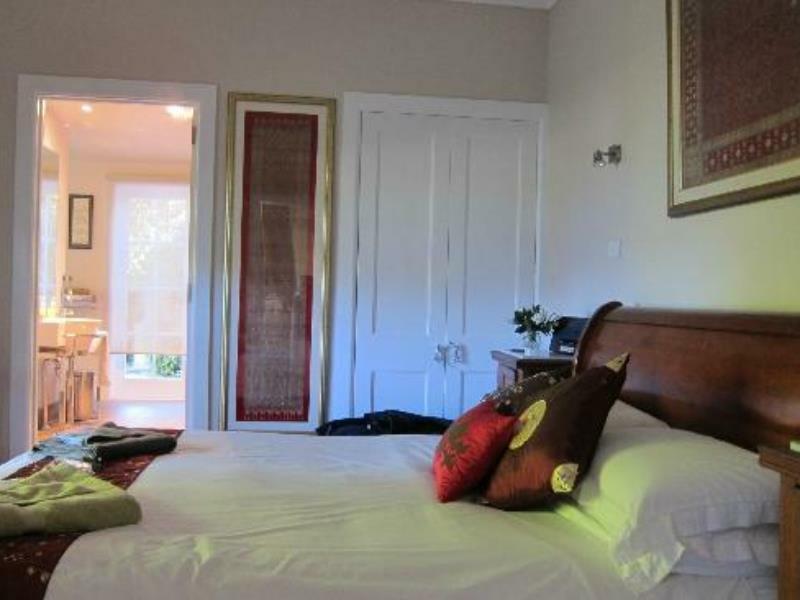 Ambience, accommodation standard and the rural atmosphere of animals, gardens and vineyard. Hosts were wonderful. Food delicious, accommodations one of the best we have had. The house was beautifully appointed. The surroundings were stunning. We were very well taken care of. An absolute pleasure. Would definitely stay there again! Excellent and superb breakfast, fantastic view with animals, fabulous warm welcome and accommodation! The hosts were very welcoming.Breakfast was great.Beautiful views. We arrived a bit later than expected and the owners were very welcoming with a nice cup of coffee and biscuits.Our room was amazing with the most lavish bathroom complete with a spa tub.The next morning invited us into her kitchen and produced a very tasty home style breakfast with home made bread and her own farm eggs.The gardens are beautifully kept.A stroll around the property completed our very memorable stay. Wonderful place to stay. Sue and Roger were very friendly and a great help with their knowledge of the local area. As per above - we very much enjoyed the accommodation, the B&B's setting and our conversations with the host and guests over great breakfasts. The B&B was just outside Kettering and a good jump off point for Bruny Island. The owners could not have been more welcoming, helpful and fun. They were a delight. The house is just gorgeous and surrounded by beautiful gardens, roses and vines. I especially loved the stories behind a lot of the things around the house and the huge fireplace. Our room was more than comfortable with TV and DVD player (plus DVD's) and our bathroom was huge, modern and well lit. Breakfast was delicious with homemade bread among other things. A wonderful place to stay and we hope to go back. wonderful hosts and their house is very spacious, beautifully decorated, and comfortable to stay in. we arrived on sunday and were told that there was nowhere close by to eat on sunday, but offered to give us a pizza. it was served with salad and was delicious and charged at cost. there were always nuts and port and newspapers available in front of the fire in the guest living room and chocolates on our bedside tables. the following morning we were offered smoked salmon with scrambled eggs with our choice of home baked bread. we had a good sized bedroom with an even larger ensuite. the gardens are beautiful with lots of flowers, a vineyard, and interesting animals, such as alpacas. it is the best b & b that we have stayed in. Excellent hosts, great breakfast, exceptional accommodation. We were welcomed with afternoon tea & homemade slice - all set in front of a roaring fireplace. The atmosphere was homely but sophisticated, with beautiful antique asian artifacts. Bed was big and comfy. Breakfast was to die for...fresh baked bread, fresh fruits, home made jam and eggs from the chooks out the back. The B&B has lovely gardens, a small vineyard and some farmyards friends. I would recommend this B&B to anyone who likes a homely atmosphere - and I certainly be going back to stay there again. Friendly staff, large luxury rooms and great breakfast selection. Close to Bruny Island Ferry . Very lovely environment. Pleasantly surprised with this stay. Room was nice enough for us. Service was brilliant from the moment we arrived. The owner were very friendly and helpful and the breakfast goods supplied daily which was a real bonus.